The valley between Springfield Road and Fox Hollies Road becomes shallower towards its head near Walmley. The Anglo-Saxon word for the upper end of this kind of valley was “Hale”, and this particular hale, being rather broad, was described as “Syd”, meaning wide, and it is mentioned in a 1433 document as “Sydenhale”. Other such valleys in Sutton were Burhale (Later corrupted to Burrells) between Ox Leys Road and Bulls Lane, and Shirehale (Sherralls) between Hillwood Road and Grange Lane. The 1433 document is a bailiff’s account for Sutton, preserved at Stratford Record Office, in which the bailiff, Robert Kelyng, accounts for income from “the pasture in the coppice of Sydenhalehay” - the additional syllable “hay” is an old word for woodland or coppice. The name had remained unchanged for hundreds of years since it was first coined, but not for much longer - the only other surviving bailiff’s account, of 1480, reads “He is not answerable for the farm of the coppice of Sydenhamhey for this period, because it belongs to the keeper of Berwood”. All the coppices seem to have been abandoned shortly after the Restoration in 1660, mostly reverting to common, and in the next reference, dated January 1754, the name is given as “Signall Hayes”. This is in the Warden and Society’s Minute Book - every five years the lot acres were set out, when each inhabitant was entitled to have an acre of common land to cultivate for five years, and in 1754 the acres for the inhabitants of “Walmley, Beyond the Wood, Ashfurlong and Maney” were to be set out in “the field called Signall Hayes”. So by this time all trace of the former coppice had disappeared, as the ground could easily be ploughed up. Miss Bracken, writing in 1860, refers to Signal Hayes as “that high land near Walmley Church”, and speculates that there was some sort of signalling station there, showing that all memory of the coppice was lost by then. 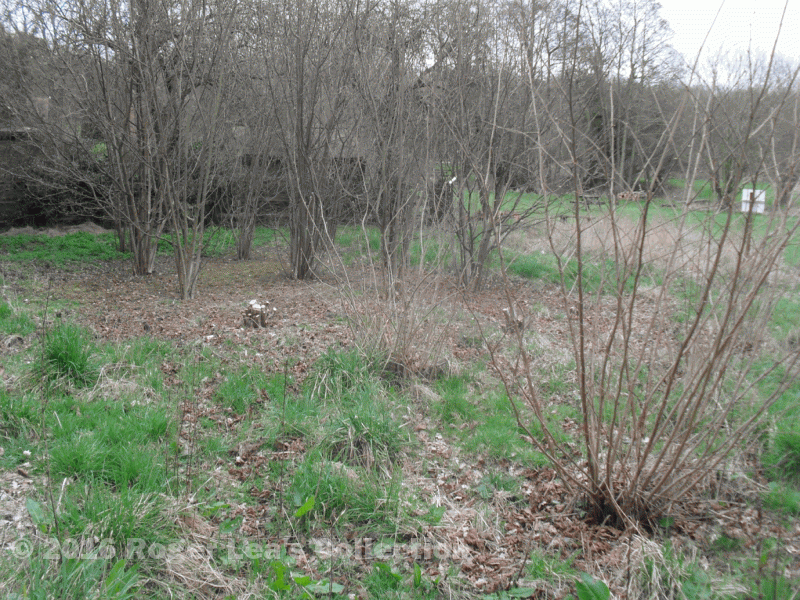 Signal Hayes coppice is long gone, but a small hazel coppice has been planted at New Hall Mill - two-year-old shoots in the foreground, newly cut stools beyond, and fully grown hazels at the back - the mill is next open on Sunday May 11th.